On arrival , you will be welcomed by a tour guide from AA Safaris and tours ltd who will brief you about your 14 Days Rwanda Gorilla and Wildlife Safari before you transfer to Kigali. Indulge in a Kigali city tour – Visit the genocide memorial and some other cultural centres. Retire for dinner and over nights . Go for an early morning game drive to search for those animals that you may have not seen in the previous game drive. The guide will help you search and spot the animals and then latter transfer to the lodge. Have lunch and then go for a boat-trip along Akagera River to search for those famous and legendary aquatic mammals – the Hippos and Crocodiles. Dinner and over night at your lodge. Indulge in another Rwanda Safari Game drive in the morning then head to Mt Mutumba(1825M above sea level) for Picnic lunch . The mountain has magnificent scenic view of the park. You will later transfer to Kigali for dinner and over night at your lodge in Kigali . Day 5; Transfer to Nyungwe through Butare. Day 6; Chimpanzee and primate walk in Nyungwe NP. Go for a nature walk this time to search for the black and white Colobus monkeys. The guides will this time explain to you the names of the birds along this trail together with the flora and Fauna and return to the lodge for lunch. Later relax as you wait for dinner and over night at your lodge. Day 8; Transfer from Nyungwe to Kibuye ( Lake Kivu). Take your breakfast and drive to the Bugarama hot water springs (the largest and biggest natural spring in Rwanda) via Cyamudongo natural forest. It is possible to take a warm bath in the hot springs if time allows but this must be pre-arranged so that we plan for it before. We will later drive to River Rusizi for a day trip with lunch and fresh drinks and then later transfer to Kibuye town. In the mid morning you will transfer to Gisenyi . UpMarket : Kivu Serena Hotel. Take breakfast and later go for nature walk along the shore of Lake Kivu or take a boat ride along Lake Kivu and later have lunch . In the afternoon , you will transfer to Parc Des Volcans. Take breakfast and then later take your packed lunch with you for briefing at the ORTPN offices for briefing for gorilla tracking escorts and rangers. You will then start the search for the gorillas in Volcanoes National Park. The bamboo forest log will dribble as you first perceive sound the breaking of bamboo indicating that the gorillas are nearer then bingo you face to face with one of the most charming and mesmerizing beings in the world. After gorilla tracking and encounter, stay with the gorillas for 1 hour and then and trek back to your lodge . There is an optional visit to the twin lakes of Ruhundo and Bulera but this can only be done if gorilla tracking ends early. Wake up early in the morning and then assemble at the ORTPN Offices once again to get another briefing from the rangers to prepare you for Golden monkey trekking . 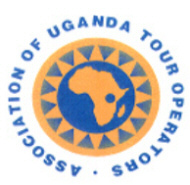 End of Rwanda safari with AA safaris and Tours ltd. 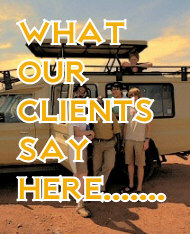 If you wish to combine your Rwanda Gorilla Safari with Uganda, please do not hesitate to let us know. We will make it happen.